The Pirastro Gold Flex violin rosin is a premium light treatment for your violin or viola bow which maximises your potential. This premium rosin gives you complete control of the bow, aiding a perfect sound. 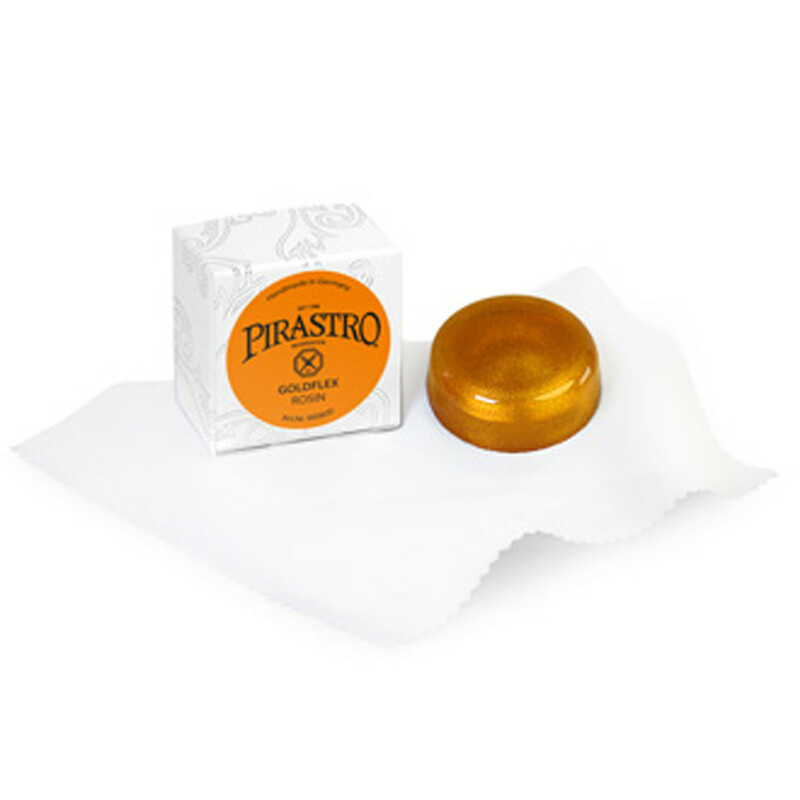 Pirastro developed this style of rosin for violins and violas, and its harder texture with added gold dust will complement your instrument's natural sound. A high quality rosin allows for perfect bowing without scratchy sounds, especially if only a thin layer is applied. Violinists and violists tend to use a harder rosin, whereas cellists tend to use a medium or softer rosin. The Goldlfex rosin has an even, balanced thickness to provide a high standard for most violins and violas. The composition features gold dust throughout to add an extra brittleness that resonates with a violin’s chambered body. Another important aspect in choosing the right rosin is the core material of the strings that are being used. Dry rosin is more suited to steel strings, and synthetic gut strings suit a softer rosin. The harder the material of your string, the harder your rosin should be, however, it also comes down to personal preference and comfort on the instrument.